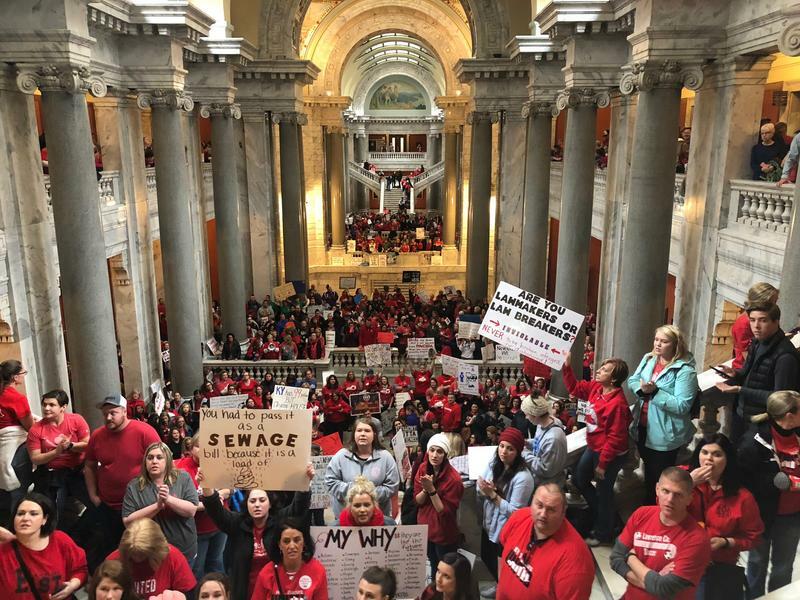 Kentucky senators faced a vocal crowd of red-clad teachers and other protesters as they emerged from the chamber on April 2, 2018. Hundreds of prostesters flocked to the Capitol Monday to press lawmakers for higher education funding on April 2, 2018. 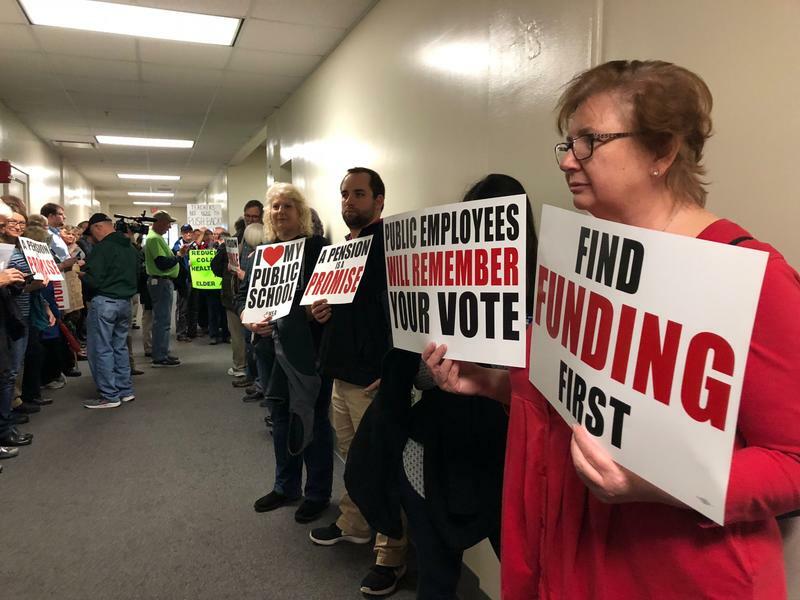 School districts closed their doors across the commonwealth Monday as teachers descended on the state Capitol to voice their displeasure with eleventh-hour pension changes and a state budget they worry will deal another blow to public education. Demonstrators stormed the Kentucky Capitol on Monday, April 2, 2017 with a message of defiance for lawmakers who supported a pension reform bill Thursday. Hundreds of teachers, students, state workers, and upset Kentuckians blanketed the steps of the Capitol and crammed the rotunda and hallways in one of the largest coordinated demonstrations Frankfort has seen in years - filling the building with regular chants of "Find funding first" and "We won't back down." 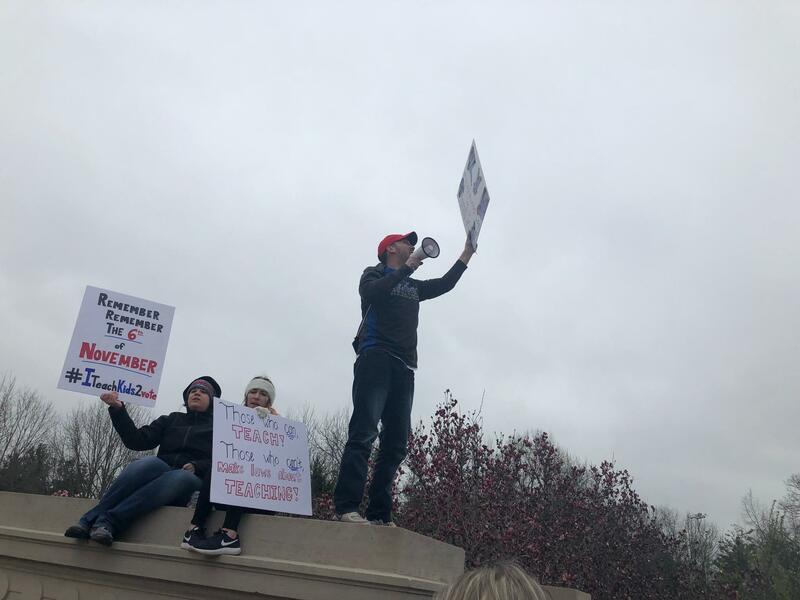 Brian Harmon, a high school art teacher in Campbell County, told WUKY he and his colleagues have reached a breaking point. "I've been a teacher for 16 years and just seeing the funding dwindle and dwindle and then to have the government just come in and propose a budget that can just devastate the schools for our students," Harmon said. "People accuse us of fighting for our own raises and our own benefits, but I'm really fighting for our students." Lexington teacher Traci Rust showed up carrying a toilet seat, referencing the wastewater bill that become a vehicle for the fast-tracked pension reform bill passed in a matter of hours Thursday. On it is written "Stop crapping on Kentucky's future." "Over the course of 14 years, I've paid $70,000 into the pension system," she said. "That's $700 every month that I'm paying in, but my state's not matching that for me." In addition to structural changes for future teachers, moving them off of traditional pensions and into less generous hybrid cash-balance plans among other provisions, protesters expressed dismay with a process they saw as rushed and secretive. Many demonstrators also co-opted Gov. Matt Bevin's comments referring to "thuggish" behavior on the part of some pension bill opponents, donning shirts with "#ThugLife" printed on the back. Protesters cycled in and out for the duration of the morning and into the afternoon, with a smaller but still vocal audience awaiting House members as they filed in to vote on a biennial budget and revenue bill. Sen. Morgan McGarvey, D-Louisville, decries the lack of minority input on a revenue bill shifting the state toward a consumption-based tax system on April 2, 2017. Tax Reform or Tax Shift? Republicans introduced and approved a long sought-after but rapidly debated tax overhaul Monday that opts for a flat 5 percent tax rate for individuals and corporations - a change expected to cost the state nearly $200 million over the next two years. The revenue proposal tacks sales taxes onto a variety of services, ranging from car repair and dry cleaning to landscaping, a move backers anticipate will raise more than $436 million. Detractors hammered the measure as a patch job and corporate giveaway, crafted with no minority input and designed to shift the tax obligation from the wealthy to middle and working class families. Sen. Ray Jones likened the overhaul to failed policies enacted in other states. "We all have heard what took place in Kansas, where taxes were cut on corporations and the common folks were asked to pick the burden up. That's essentially what this is. It's Kansas lite," the Pikeville Democrat charged. 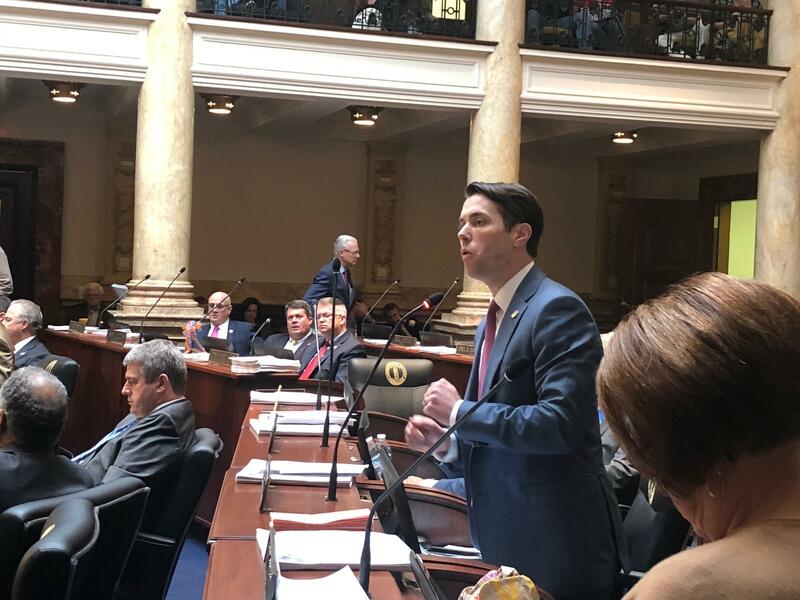 Senate Republicans acknowledged the imperfect nature of the compromise bills, but they argued it will expand the tax base, boost Kentucky's competitiveness, and put the state on a fiscally sustainable path. "This is the first structurally balanced budget in my 22-year career, that we are not using basically the savings accounts to pay for recurring expenses," Senate President Robert Stivers explained. GOP leaders defended the shift toward a more consumption-based tax and pointed to a budget that fully funds pensions, restores school transportation funding cuts, and allots a record amount in per-pupil spending. The budget bill does, however, keep 6.25 percent cuts for public colleges and universities. Statement regarding the revenue and budget bills passed by the General Assembly Monday posted to Gov. Matt Bevin's Twitter account. Even with legislators in his party stressing the interconnected nature of the two-year budget and the revenue package, both measures could encounter a hurdle in Gov. Matt Bevin. Monday, the executive tweeted: "I am very concerned that the current proposals from the General Assembly may not meet these basic standards of fiscal responsibility. 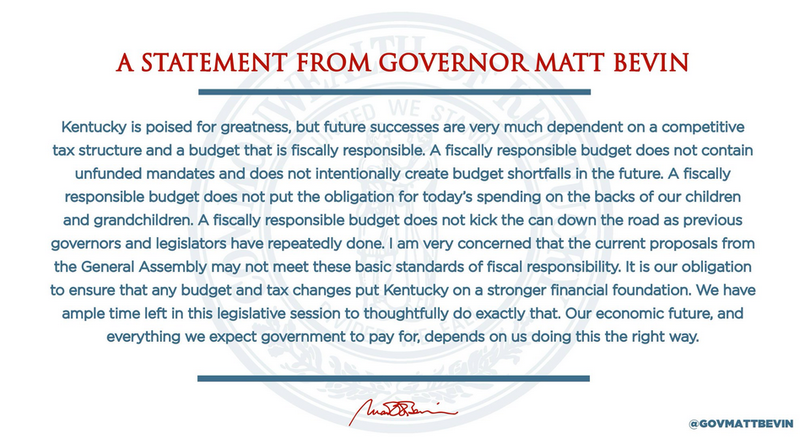 It is our obligation to ensure that any budget and tax changes put Kentucky on a stronger financial foundation. We have ample time left in this legislative session to thoughtfully do exactly that." 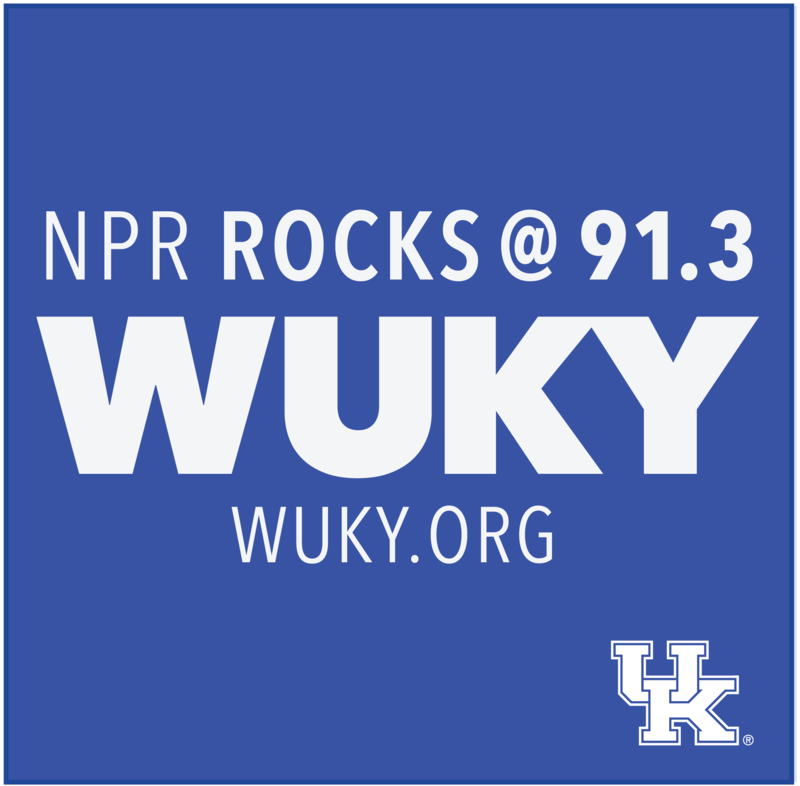 Americans for Tax Reform president Grover Norquist also offered his two cents on the budget and tax plan winding its way through the Kentucky legislature, writing, "The purpose of tax reform is not to serve as a Trojan Horse for a net tax increase to raise revenue for state government." The revenue and budget bills emerged from the General Assembly around 8 p.m. Monday night, just ahead of a 10-day gubernatorial veto window. 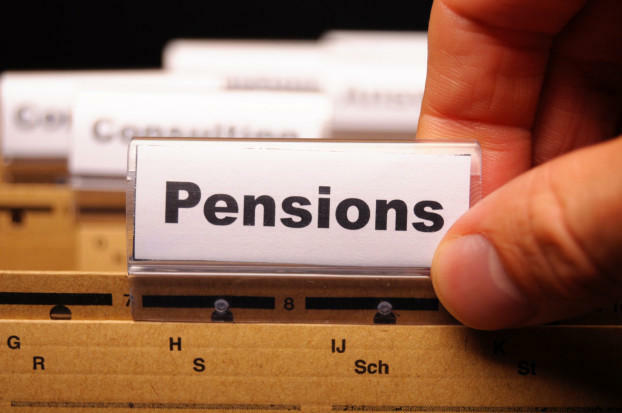 Republican lawmakers in Kentucky passed a pension overhaul Thursday that preserves benefits for most workers and does little in the short-term to address the state's massive debt. A state Senate committee voted 7-4 to advance Senate bill 1. It’s the first step for the bill to become law. If approved by the Senate and House of Representatives, retired teachers would see their annual cost-of-living raises cut by 33 percent for the next 12 years or until the system is at least 90 percent funded. 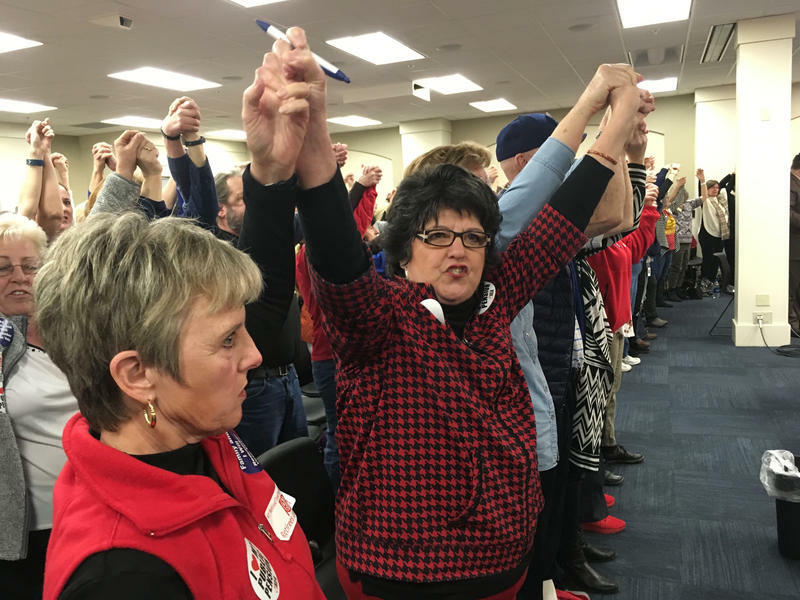 The first hearing on a pension reform bill in Frankfort drew a hostile response from teachers and other state employees Wednesday. The Kentucky Senate's top Republican leader says a forthcoming bill to overhaul one of the country's worst-funded public pension systems will not include a mandatory move to a 401(k)-style plan. Republican leaders have been adamant that pension reform should top the agenda in the beginning weeks of the 2018 session, but a revised bill has yet to surface. The Kentucky House of Representatives has voted to tax prescription opioids in an effort to close its budget gap and curb the flow of addictive drugs into the state. Maintaining core state funding for K-12 education made the list of high priorities in Gov. 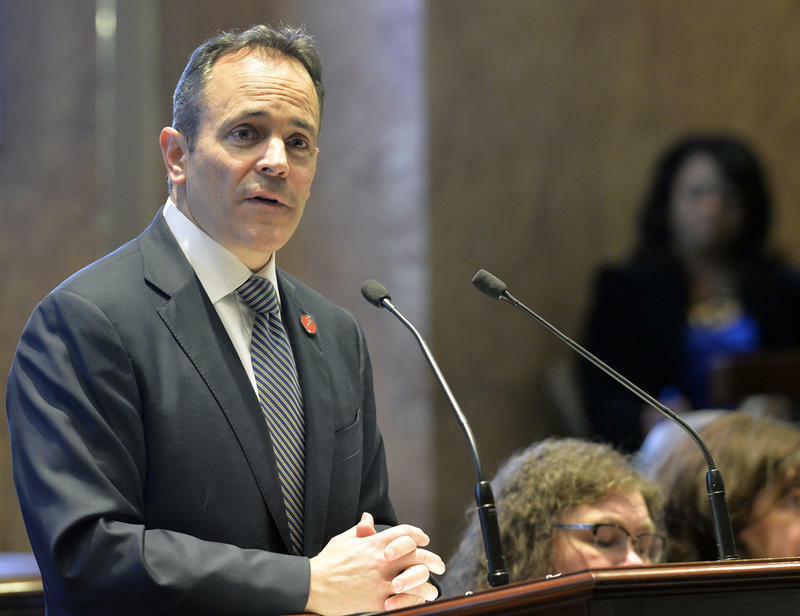 Matt Bevin’s annual budget speech, but some advocates worry other proposed cuts and cost shifting measures threaten the state’s constitutional mission to provide an efficient system of public schools. 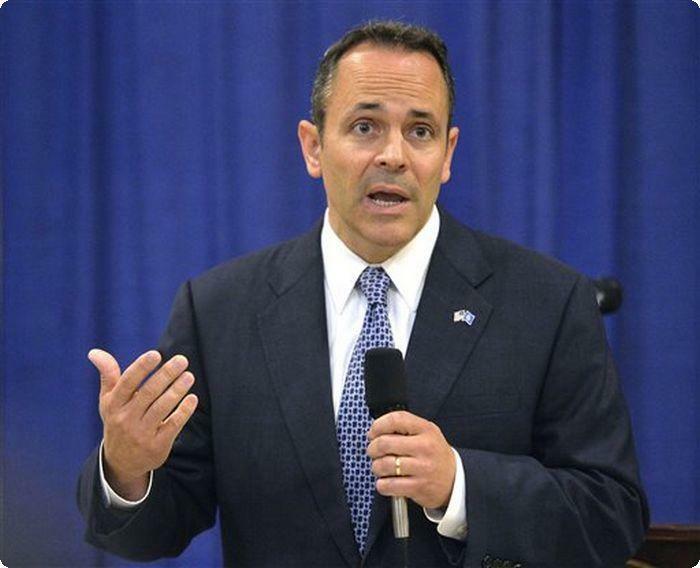 Kentucky's GOP governor says the state's first two-year spending plan crafted by Republicans in state history won't be pretty.